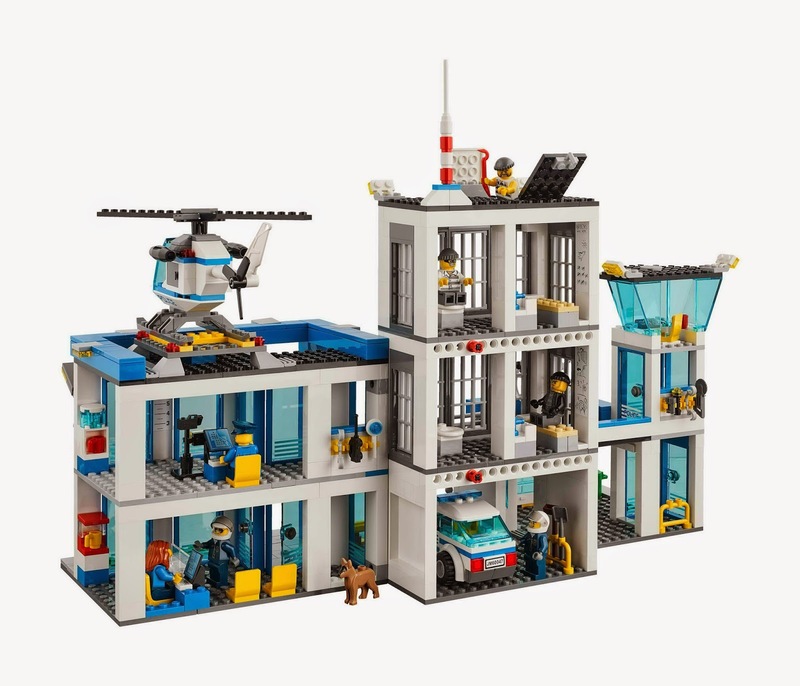 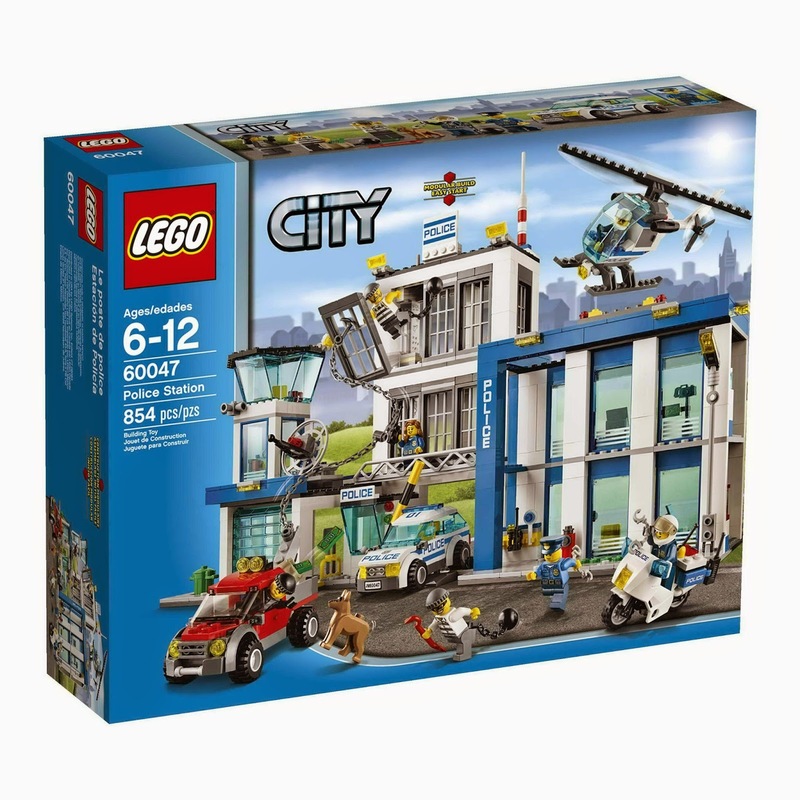 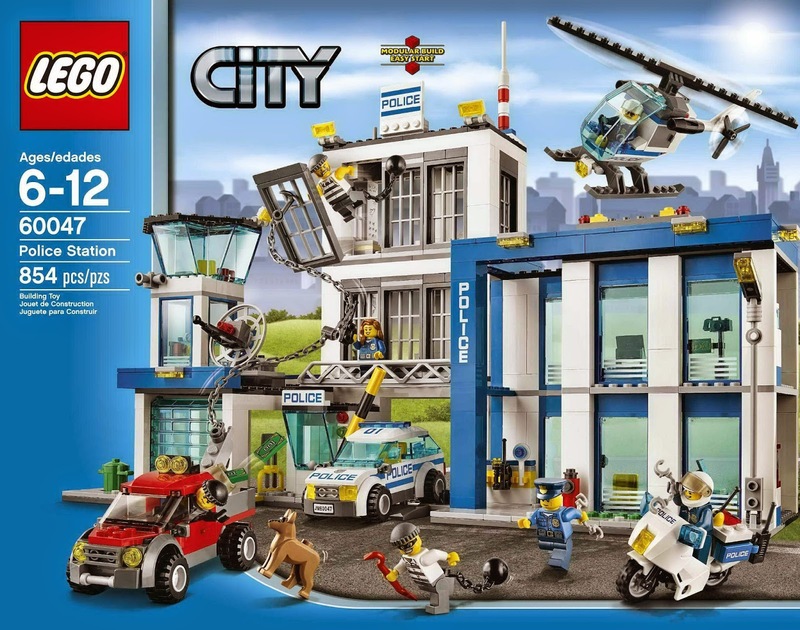 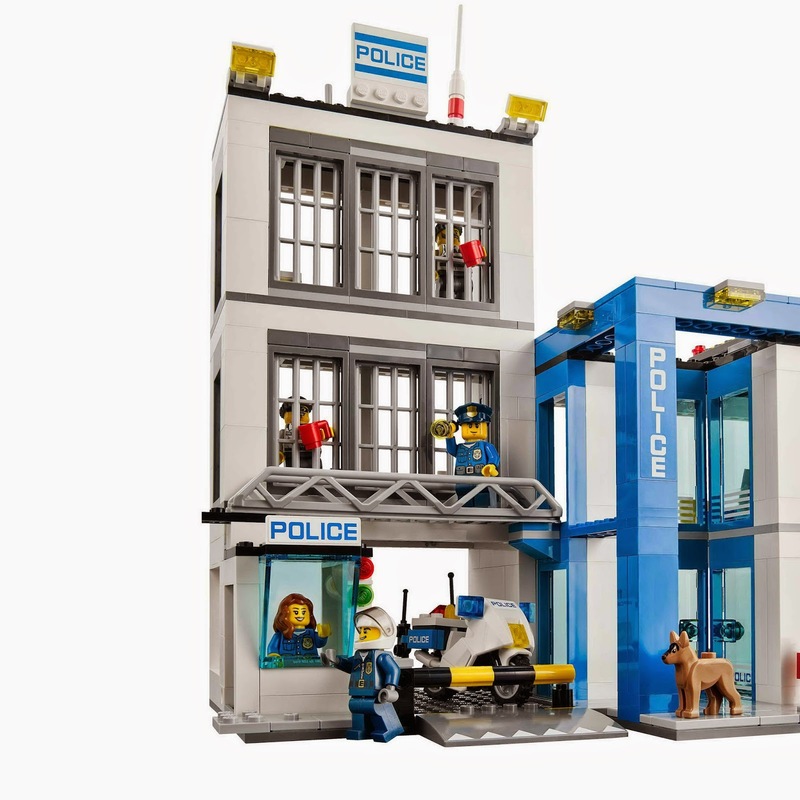 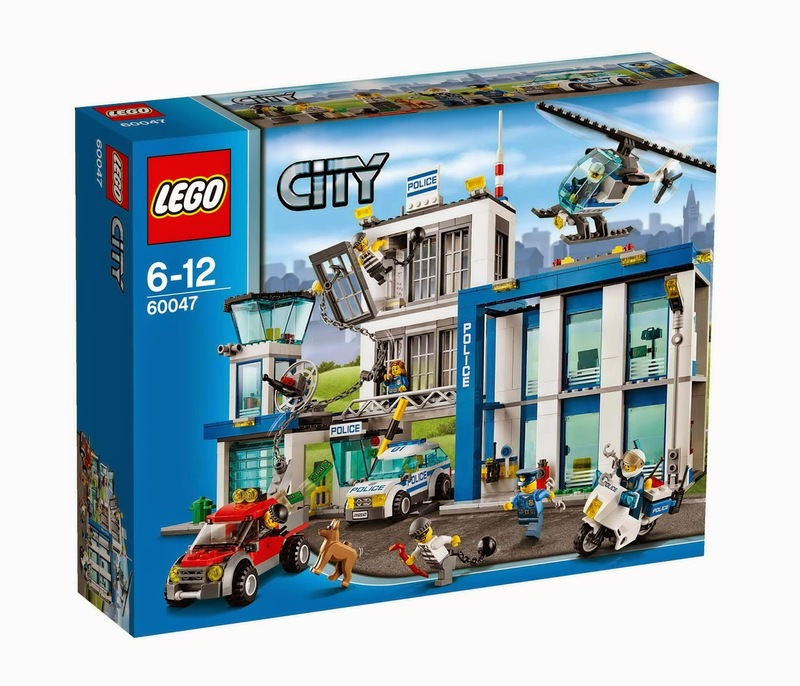 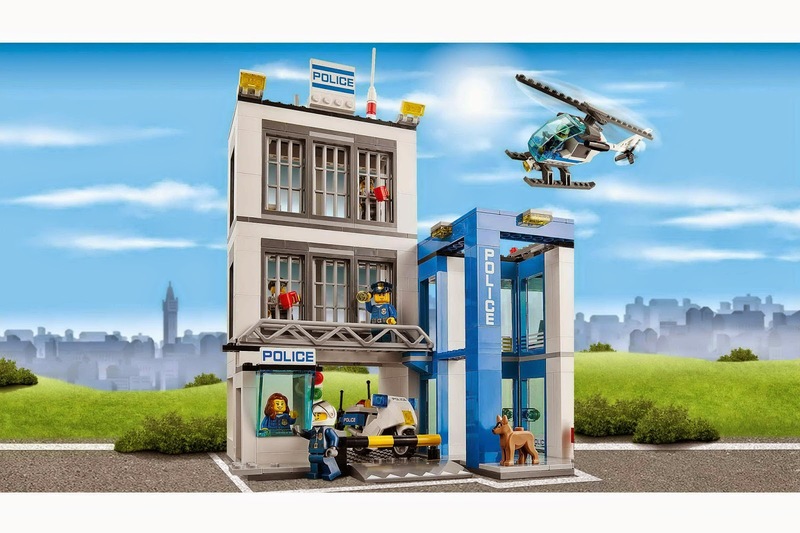 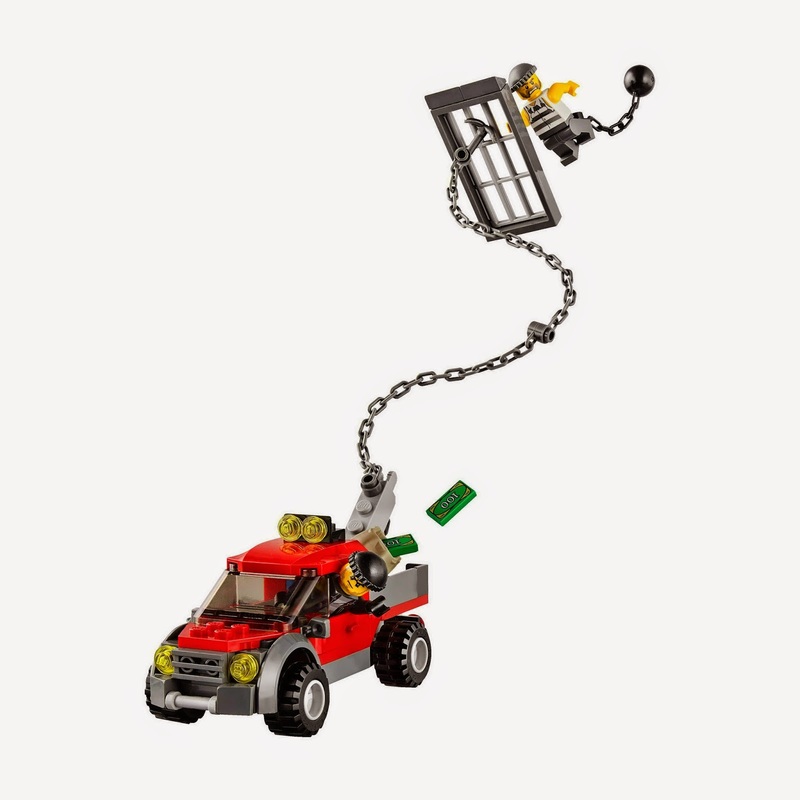 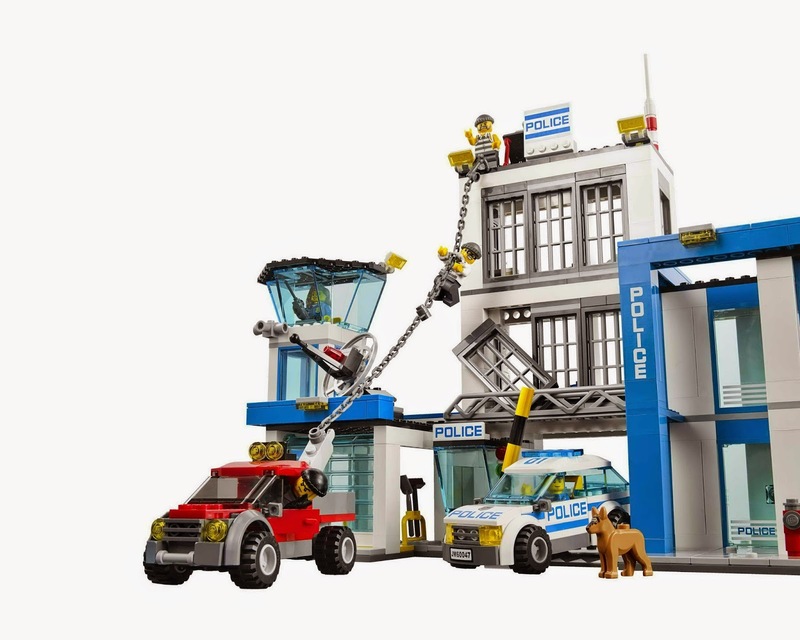 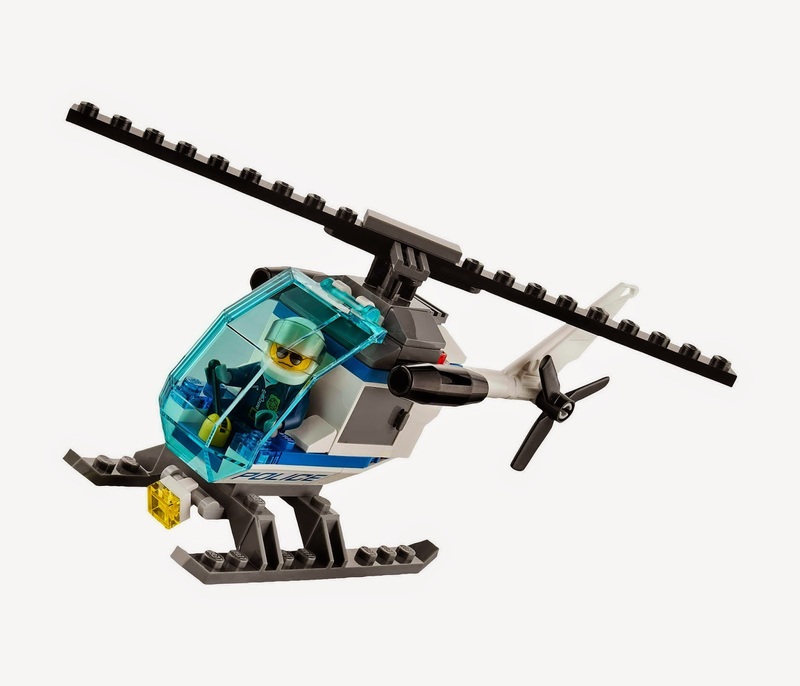 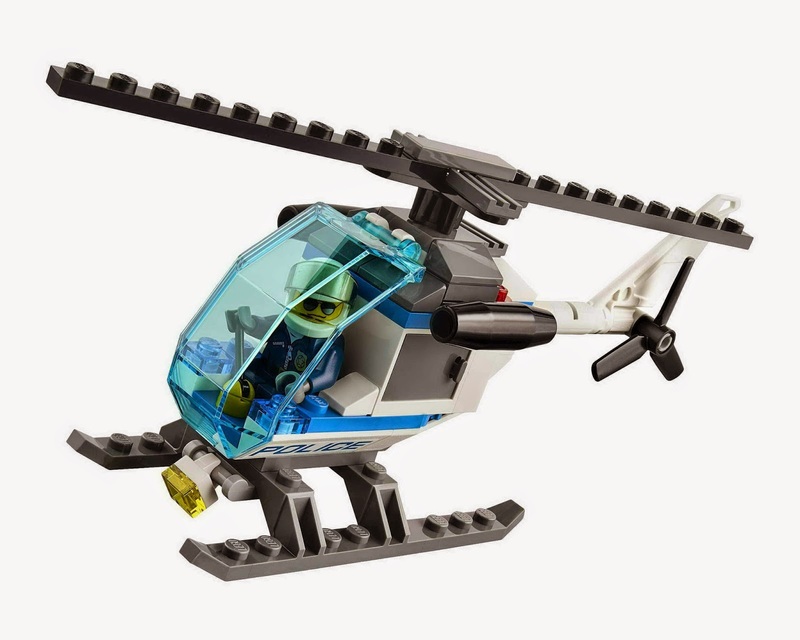 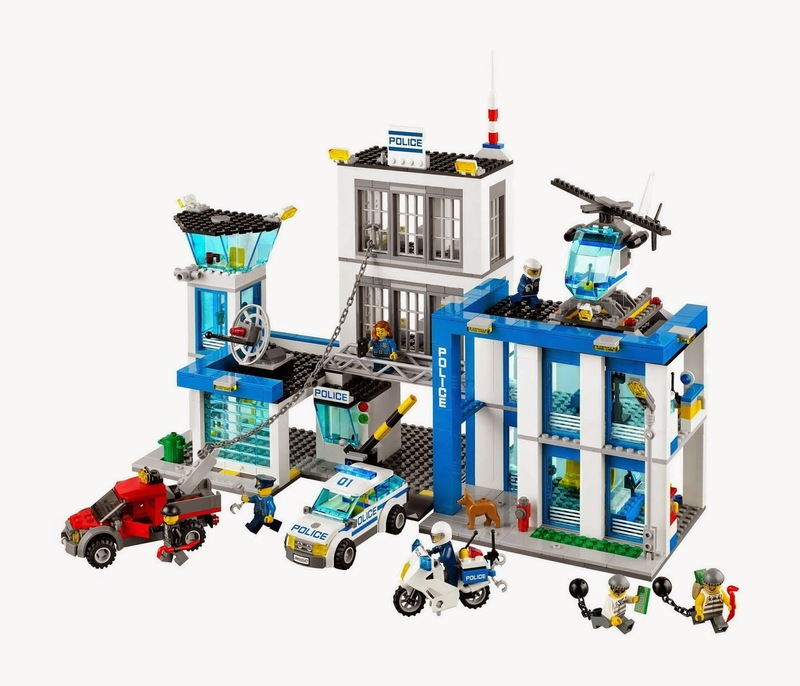 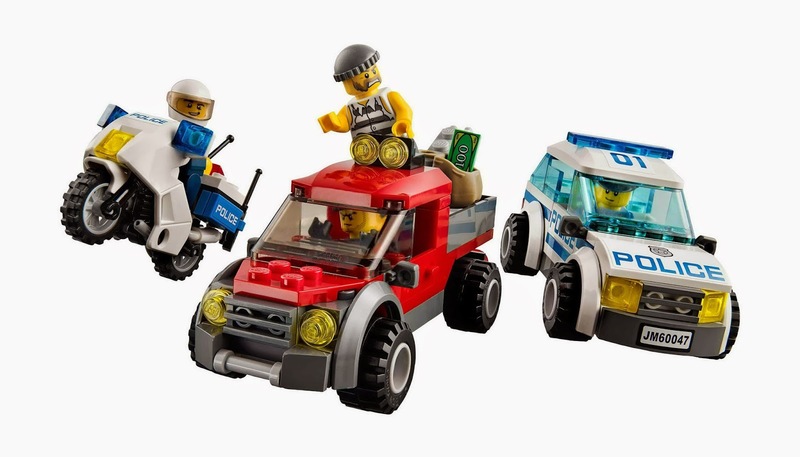 come with a police station, a police car, a police motorcycle, a police helicopter and a bandit tow truck. 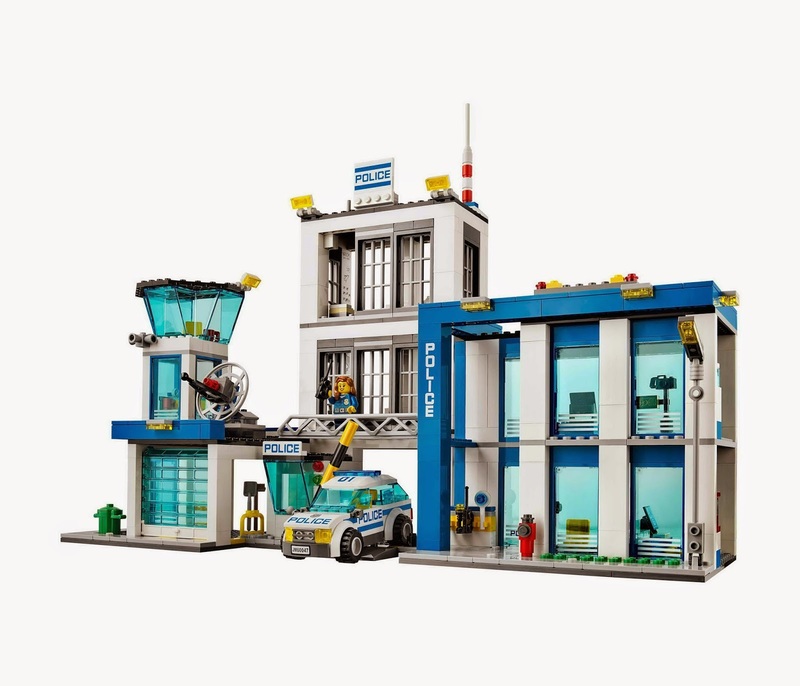 the station has three storey level. 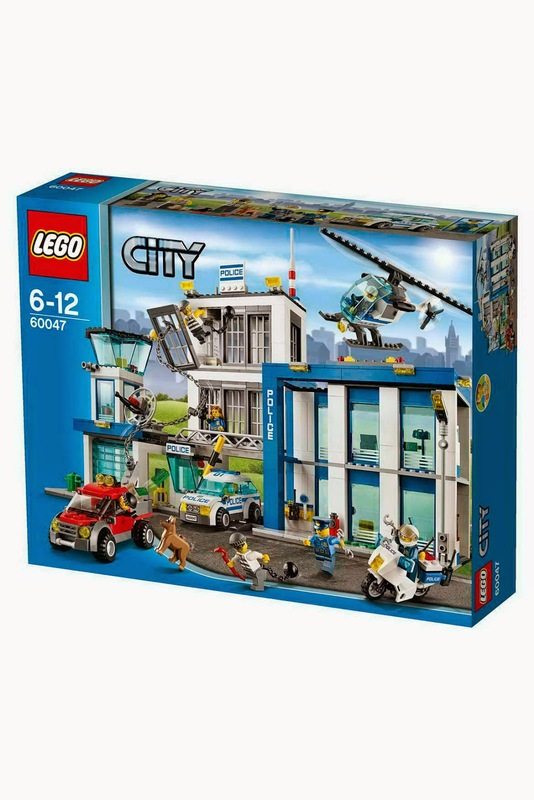 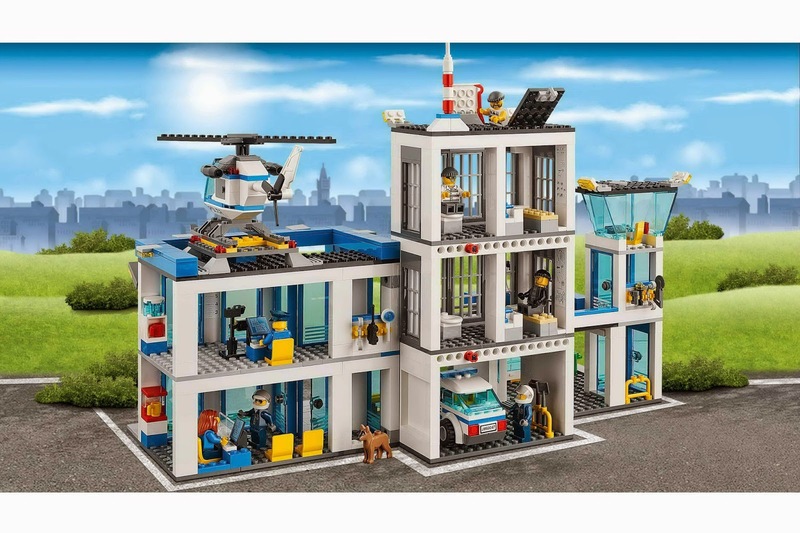 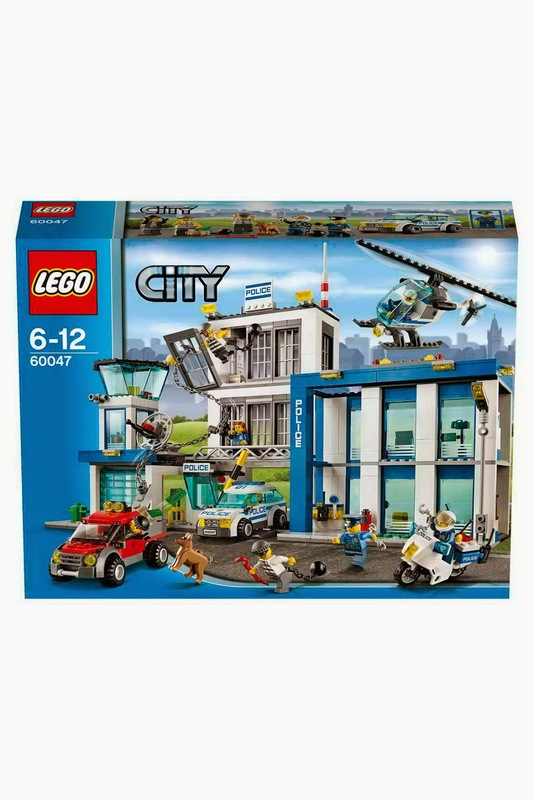 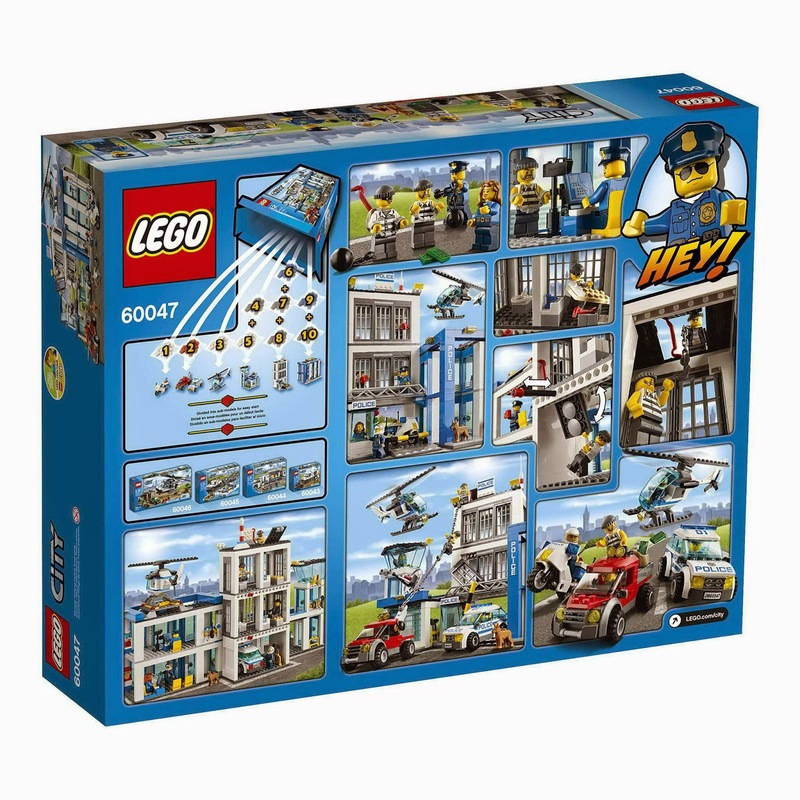 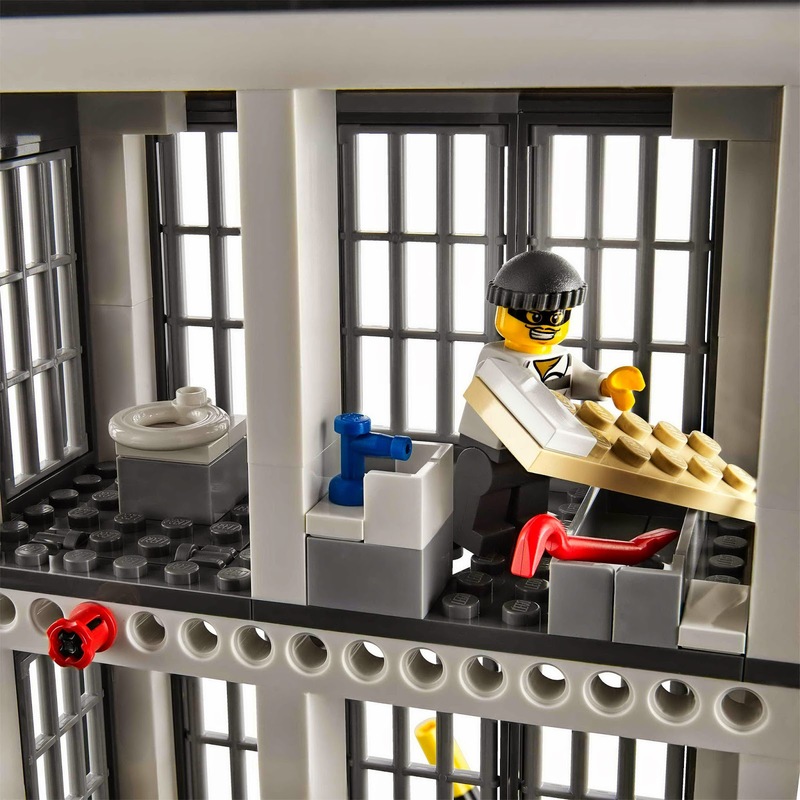 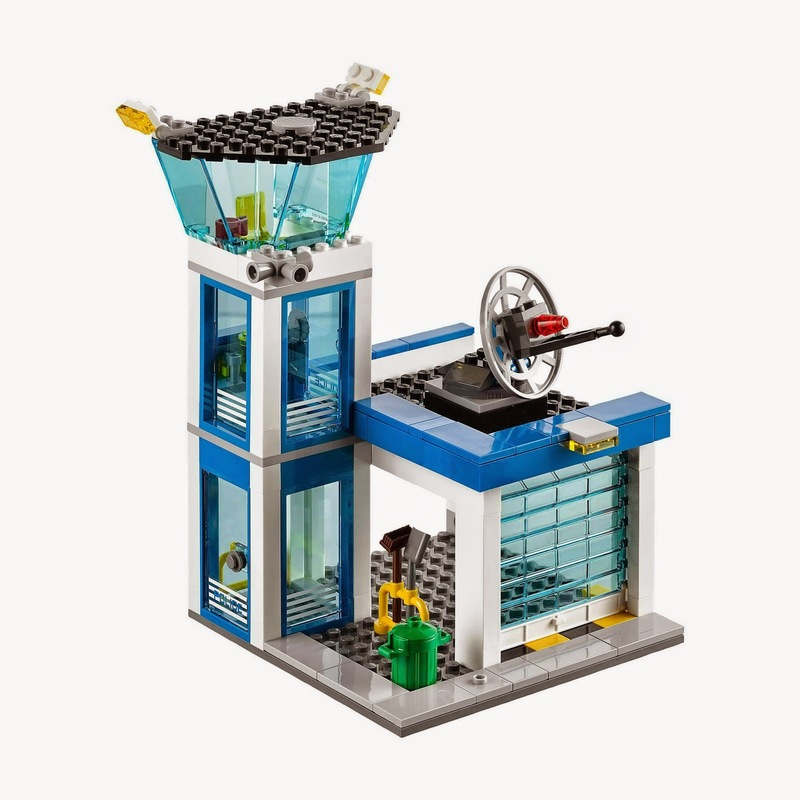 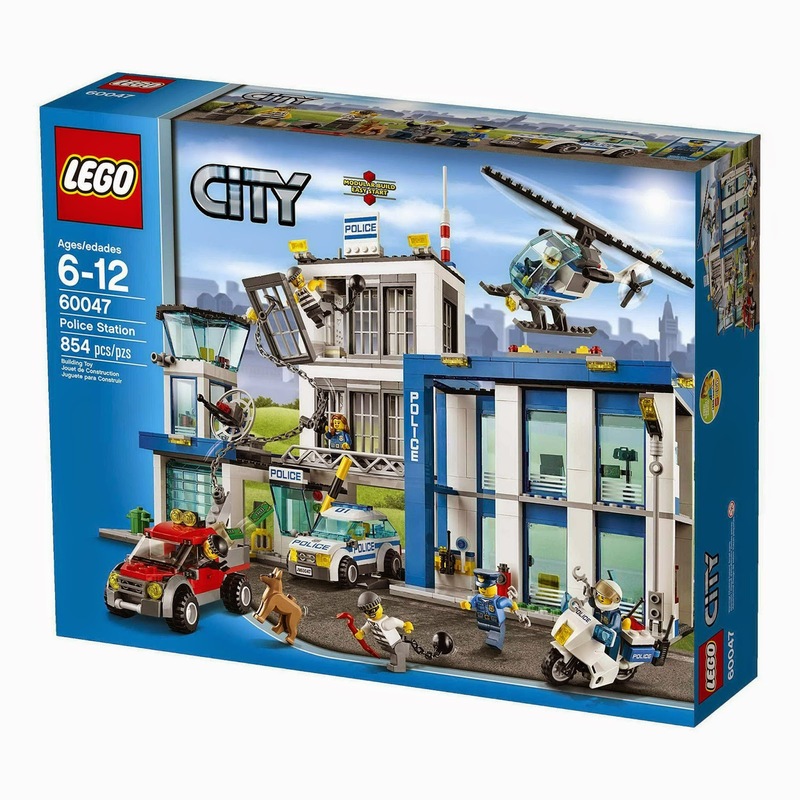 the station has a control tower, offices, a rotatable radar dish, a garage with rolling door, a lifting barrier, a helipad, a toilet, 2 jail cells and a roof hatch. 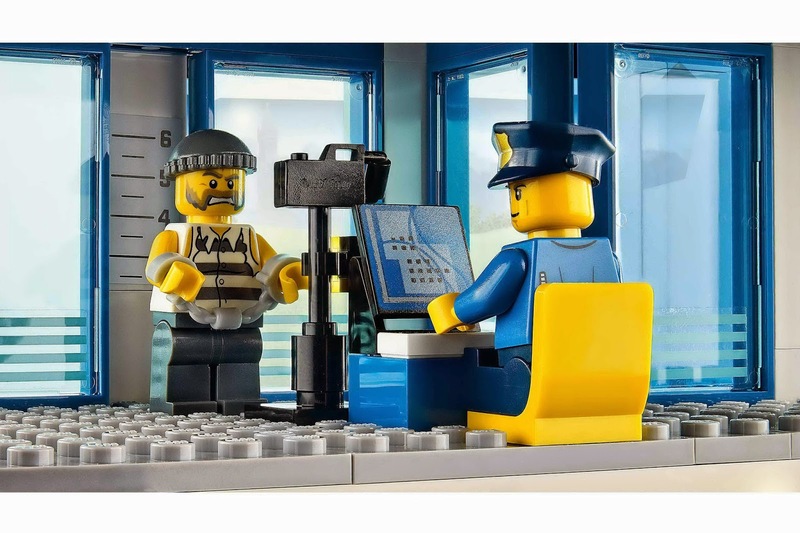 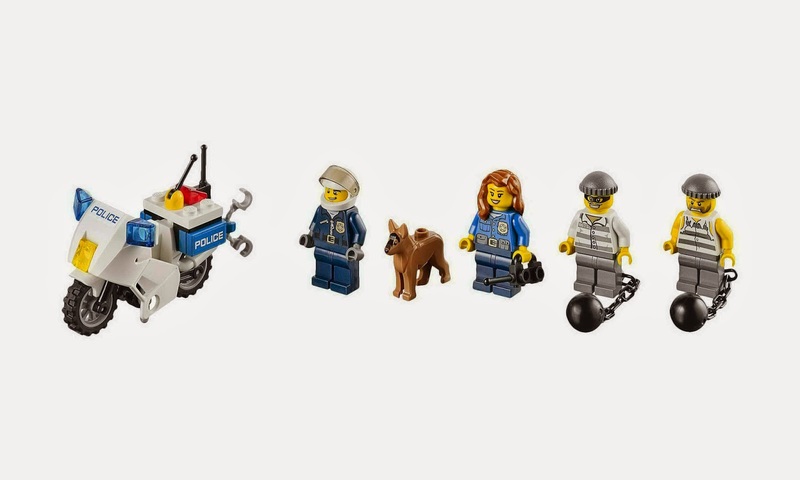 minifigs included a policewoman minifig, 3 police minifigs and 3 bandit minifigs.